A smoke detector is simply a device that detects smoke. Smoke is usually an indication of fire. This is not always the case and when there is no actual fire they can be responsible for a number of false alarms. 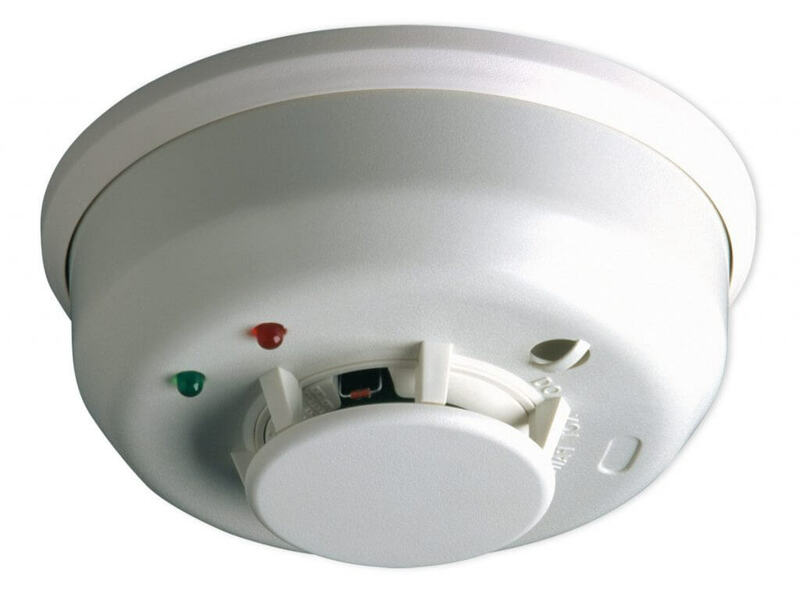 This device can be a local only type where they are installed to notify anyone that is in the proximity of the smoke detector. Detectors can also be connected to a control panel which can be used to sound an alarm in an entire building. These types of systems can also notify authorities if the system is monitored by an outside agency. Typically a local only detector is a battery operated device. These will detect smoke and sound an internal siren inside the device to alert the occupants that are in the house. They are not meant to alert anyone other than the personnel that are close by. They also have the ability to make a small chirping noise if the battery is getting low. It is difficult to hear at times when the low battery sound is being emitted so it is best to change your battery every year. It is also a great idea to test your smoke detector on a regular basis. 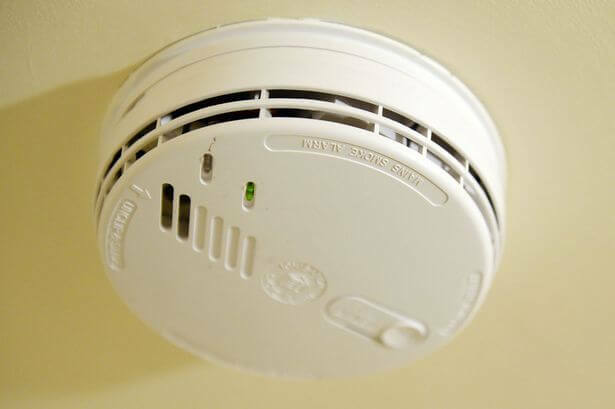 Estimates are as high as 30% of home smoke detectors have dead batteries and offer no protection in the event of a fire. A detector that is installed in your home that is a local only is designed to save the occupants if they are home. 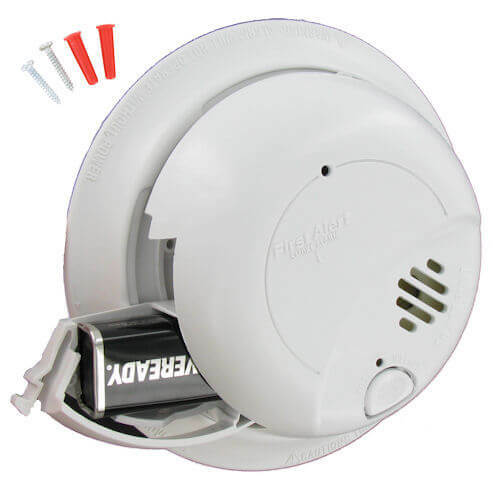 If you have a detector that is connected to a fire alarm system then they can not only save the occupants but you can potentially save your property and belongings. When a monitored system is triggered by smoke the alarm will sound and it will also notify your monitoring company. The monitoring company will alert the fire department. You can have a detector connected to your security system with the addition of a new control panel. Residential home security panels are designed to work with wired and wireless detectors. 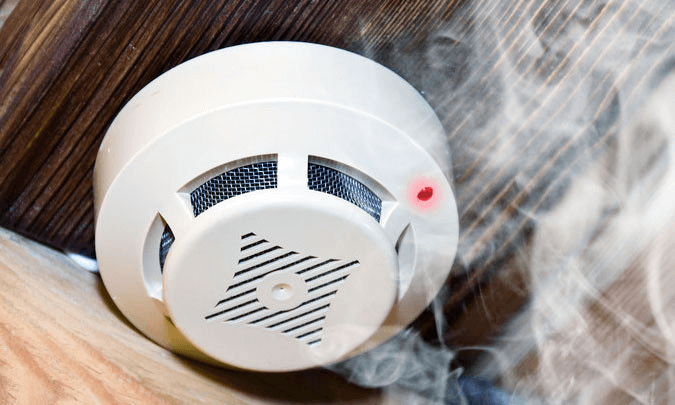 Many home owners choose to pass over the installation of a smoke detector based on cost not realizing that a fire will cause much more damage than any burglar. Detectors are typically a disc shaped plastic enclosure about 6 inches in diameter. There is a wide variety of sizes by many different manufacturers but this is the typical size. Most detectors operate by using optical detection (photoelectric) or a physical process (ionization). In residential applications the preferred type is photo electric. Photoelectric detectors respond faster (typically 30 minutes or more) to fire in its early, smoldering stage (before it breaks into flame). The smoke from the smoldering stage of a fire is typically made up of large combustion particles. A detector that is installed in a commercial environment is always connected to a fire alarm panel. There are several different types of smoke detectors available. A detector can be wired and be a part of a zone. Each zone can have multiple detectors connected so when a fire is detected there is only an area that is indicated. The exact location is not known. More recent fire alarm systems have addressable smoke detectors. These are also wired but they each have a unique ID. 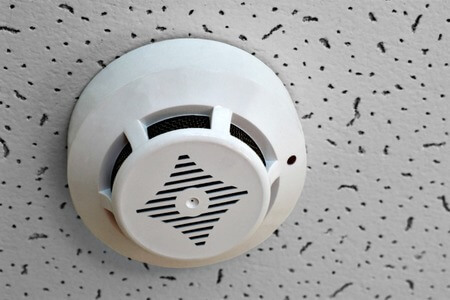 When one of these detects smoke the exact location is known to the fire department when the monitoring company is notified. This is of great help the fire department when responding to a fire.